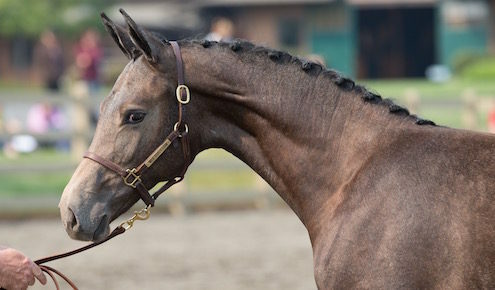 Imported in 2008 from Schockemöhle Pferdehalthung, Grandessa was approved at the 2009 American Holsteiner Horse Association approvals at Oakhurst Thoroughbreds with a score of 49 and entered into the Main Mare Premium Section. 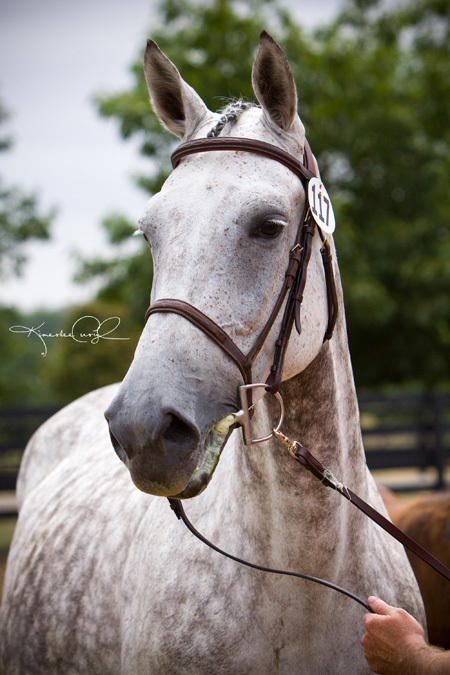 Grandessa is by Carthago Z, two-time (Atlanta and Sydney) Olympic show jumper and member of 15 Nations’ Cup teams. 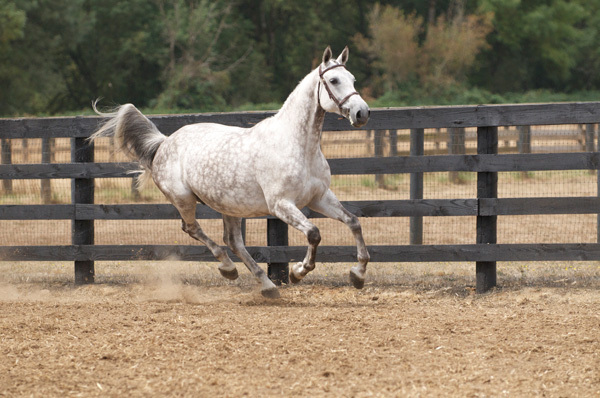 Carthago is considered one of the most influential sires. 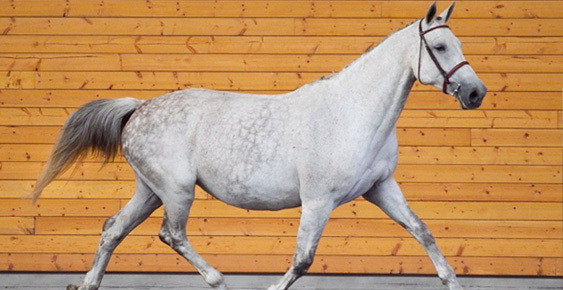 Carthago Z has 73 stallions world-wide that are active in breeding and is of immeasurable value in the pedigrees of hundreds of international sport horses . 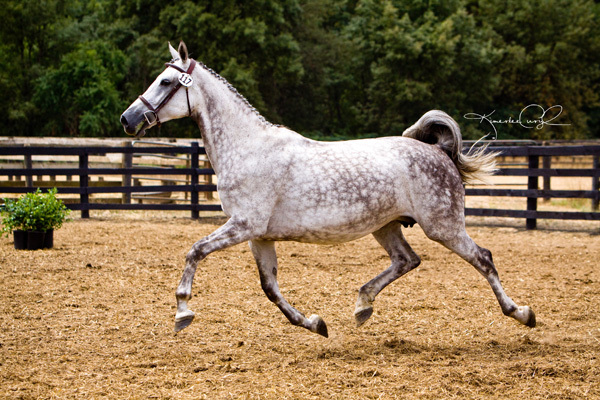 Carthago Z’s sire Capitol is a true legend. 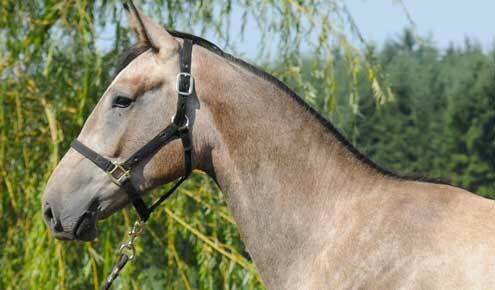 He is considered to be one of the most important stallions in the history of the Holsteiner Verband. 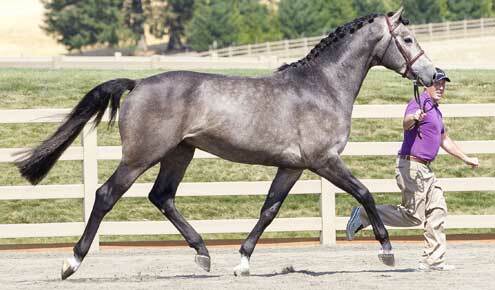 He sired numerous offspring that competed on the international stage. 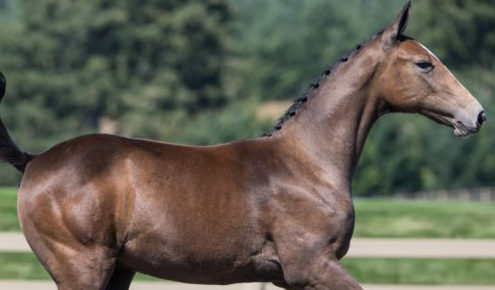 Grandessa’s dam Goldliese is by Landfriese II. 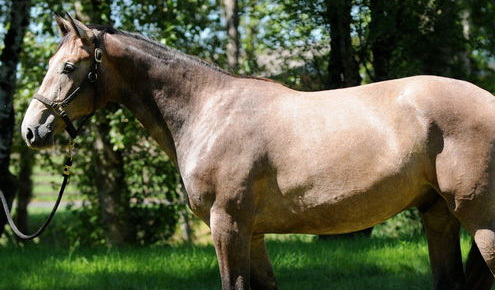 Landfriese II is a very successful breeding stallion. 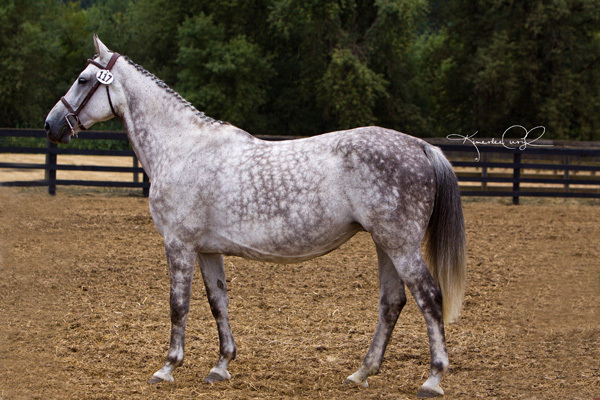 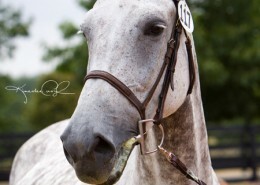 He has sired over nine approved sons and many state premium mares. Landfriese II competed up to 1.45 meters until he was injured and then was shown in dressage to Level M.
Landfriese’s sire is Landadel. 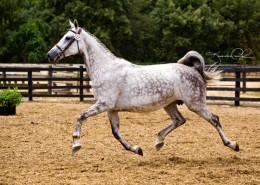 Landadel was champion of his 100 Day test at Medingen in 1985. 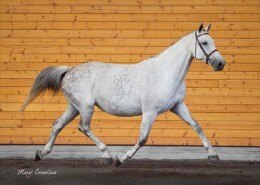 Landedel was a sire of both top dressage and jumping offspring. 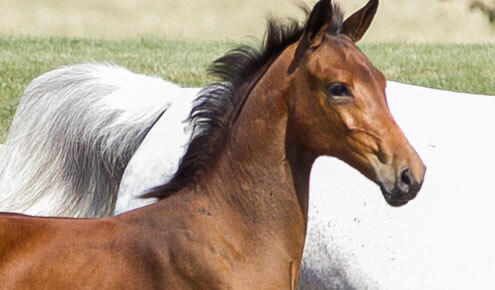 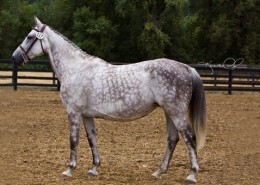 Grandessa’s 2011 colt WT Leapfrog was approved Oldenburg GOV.